The decline of the Caballeros Templarios has left Michoacán at the mercy of a tangle of rivals, none of whom appear able to reassert the supremacy that previously imposed a limit to the violence within the state. Recent reports from Mexican outlets point to the Jalisco Cartel – New Generation (CJNG) and the Viagras as the two dominant groups within the key southern Pacific state. This represents a dramatic shift from the status quo over most of the past decade, in which the Familia Michoacana and its successor, the Caballeros Templarios or Knights Templar, exercised virtually unchecked control over the local underworld. 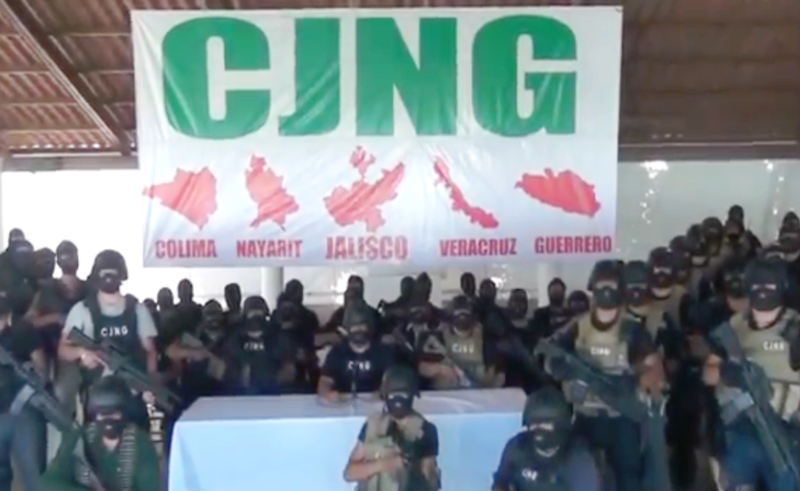 CJNG reportedly first established itself in several cities just over the Jalisco border in northern Michoacán and has been fighting to carve out a toehold farther south. Among CJNG’s principal operators in Michoacán is Miguel Ángel Gallegos Godoy, or “Migueladas,” a veteran of the Familia Michoacana who has long operated out of La Huacana, a mid-size town in the center of the state. The Viagras have grown largely as an answer to the out-of-state would-be hegemon. Headed by Nicolás Sierra Santana, the Viagras initially formed as part of the so-called self-defense movement — in essence, local civilians took up arms to drive criminal groups from their town — that emerged early during the current administration of Pres. Enrique Peña Nieto in Michoacán. Rumors that the Viagras, like other self-defense cells, had made the leap into open criminality have trailed them for years. Today, government officials describe them as one more criminal gang, fighting CJNG forces for control of several municipalities in the Tierra Caliente region. Also in the Michoacán mix are a handful of smaller criminal cells that have emerged from the embers of the Caballeros Templarios operation. These individual cells function with varying degrees of autonomy, and many are allied to a larger sponsor. One prominent example is Ignacio Rentería Andrade, a former lieutenant of Caballeros Templarios founder Servando “La Tuta” Gómez. Rentería Andrade was engaged in a fierce competition with the Viagras at the time of his June arrest. Michoacán’s appeal for criminal groups stems from a variety of factors. The state possesses one of the nation’s largest ports in Lázaro Cárdenas, making it useful for importing merchandise from foreign sources — whether South American cocaine or precursor chemicals for synthetic drugs from Asia — and for exporting contraband to buyers abroad. Michoacán is major a producer of opium, and it contains many transit routes linking the southern Pacific coast to Mexico City. Michoacán’s criminal economy is also more intimately linked to legitimate commerce than in many parts of the country. Extortion is commonplace, and many local crime bosses also have a hand in major legitimate industries. According to El Universal, for instance, Gallegos Godoy of the CJNG is a major melon exporter. To a certain degree, chaos in Michoacán is nothing new. Since Pres. Felipe Calderón chose the state as the site of his maiden military deployment in December 2007, Michoacán has been synonymous with the government’s struggles to maintain control over its territory. As a result, it has long received a disproportionate share of the international attention on Mexican insecurity. 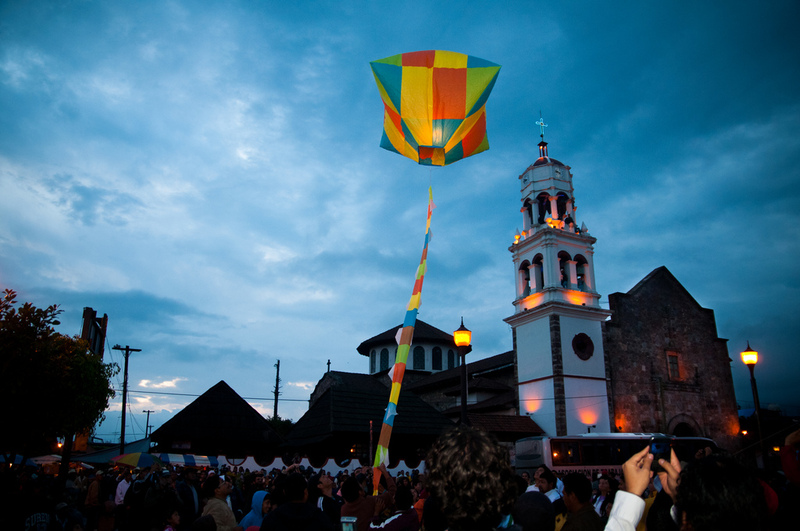 Michoacán has also been the site of many of the most unsettling incidents, such as a 2008 grenade attack on Mexico’s Independence Day party in a plaza in the state capital; the 2009 arrest for collaborating with criminal groups of dozens of state and local officials, virtually all of whom were later legally exonerated; and the 2013 assassination of a steel executive who refused to pay extortion demands. Coupled with this has been an evident decline in state authority, in which the functions of government agencies have been absorbed by criminal cells. This intimate relationship between the criminal class and broader society helped spur the so-called self-defense movements, the 2012 surge of vigilante groups around Michoacán. The Caballeros decline, while welcomed by many, has brought about a substantial increase in violence. For all its fearsome reputation, Michoacán was never a particularly bloody state. In 2007, the first full year of Calderón’s presidency, the state witnessed 527 murders according to the National Public Security System. With a murder rate of around 13 per 100,000 residents, this was only slightly more than the national average, and far less than states like Baja California and Sinaloa. By 2012, the murder rate ticked up to about 17, but this was now lower than the national average. The 2014 death of Caballeros leader Nazario Moreno, followed by the arrest of his more visible colleague La Tuta the following year, left the organization gravely weakened, and the struggle to fill the vacuum has sparked the wave of violence discussed above. The 1,287 murders in 2016 were the most the state has ever registered, and through nine months of 2017, Michoacán was nearly on pace to match it. The 2018 electoral process, through which Mexico will choose a new president and Michoacán residents will select a raft of state and local officials, threatens to add another destabilizing element. State officials have voiced concerns about criminal groups tilting the electoral scales in favor of their preferred candidates, and a prominent leader of a self-defense group has already warned that 2018 would mark a new descent into bloodshed. Unfortunately, there is both relevant research and logic to back up this assertion. Public security is largely a product of the delicate equilibrium established by the various criminal groups and political actors. Just as the removal of a dominant criminal group fosters uncertainty, so too does the wholesale disappearance of the officials charged with ensuring public security.